AVAILABLE NOW: Huge inventory of five and a quarter inch (5 1/4″) tall traditional profile real wood baseboard is on sale at our Houston warehouse. Only $1.19 per linear foot for 12 foot length, and $1.29 per foot for 16 foot length.. 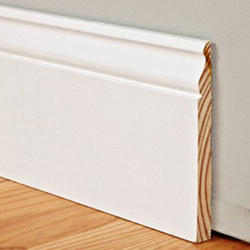 This is high quality, made in the USA, primed baseboard. No finger joints. 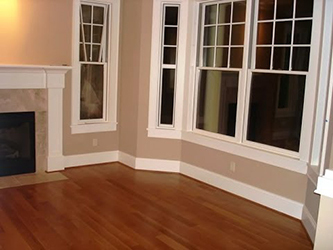 Baseboards allow you to cover the seam between your flooring and walls. The moulding is pre-primed for immediate painting to match your room’s decor. Similar products sell at box stores for $2.20+ per ft. Pickup at our Houston warehouse today! Limited quantity, limited time offer. Before coming in, please give us a call to schedule an appointment so that we can better serve you. Thank you!